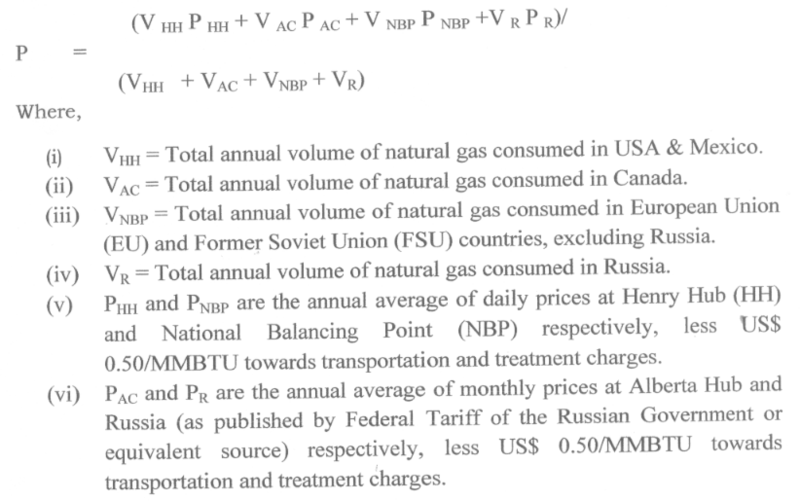 How to calculate price index for natural gas in India? Ministry of commerce and industry of India doesn't provide WPI index for Natural Gas. Is there a way to calculate the same? The details of this formula, including where the data is taken from can be found here. To see historical data with this formula (since 2014), see the left panel here. Simply click in the period you want to see. Notice these prices are set for a six-month period. There is more information about the context of this policy and the different pricing systems regarding natural gas for India here. Measuring quantities for price indices? Can the CPIH be used to find the real terms rise in price of a component of the basket of goods?